Home Blog What is the Best Way to Train a Dog in 2019? What is the Best Way to Train a Dog in 2019? Training a dog takes patience and dedication, and most dog owners do best when receiving guidance and help from a knowledgeable exterior source. Dog training may seem easy, but it often turns out to be a lot more time consuming and patience testing than what one may have originally anticipated. 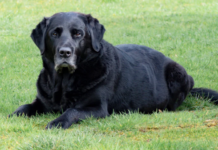 Dogs are highly intelligent, but unless you know how to show them what you want them to do – it’s going to be frustrating for the two of you, and anything but a pleasant experience. While attending training courses and/or hiring a professional trainer was once the only option for dog owners who wanted to work with their dog – times have changed, and you can now get dog training tips and tricks in the comfort of your home. 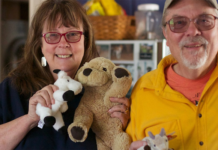 There are books, the internet, apps and other modern methods to learn and obtain skills, and the art of dog training has evolved to reflect the increased knowledge and understanding regarding dog behavior and dog/human relationships. The most obvious choice is still a quality dog training course. It is the only option that will give you a truly personalized experience; where you get to work directly with an expert, who knows you and who knows your dog, and who can offer a personalized solution for the two of you – to set you up for success. Attending a training course is also a great way to socialize a dog; whether you have a puppy or an adult fur friend, as it forces them to learn to focus even when distracted by the presence of other canines. Local professional dog courses can be found online, in the newspaper, announced on local social media pages and through quick Google searches, and they are usually available in all bigger cities, and in some smaller or more remote areas, depending on the availability of a skilled trainer. If your hometown has a kennel club or similar – then that’s where you will want to ask, if coming up empty after searching the web. Working with trainers is usually fun for everyone involved, but it is a fact that this option (unfortunately) is not available for everyone. Puppy classes and an obedience course can set you up for a successful future with your dog, but if you are not able to attend (for whatever reasons) – don’t worry, it is 2018, and there are options. Taking help from a professional is always a good idea; and while you will still be doing the work yourself, you’ll at least have someone to guide you. A good dog training book can be a great follow-up after participating in a puppy course or after taking your first course together with your dog, and it is something you can keep with you and read whenever you have a moment. Take those minutes on the bus in the morning to read up on how to teach your dog to sit or learn how to make training fun for the two of you while waiting in line at the Supermarket. It is important to choose dog training books written by actual dog trainers, or you could end up wasting your time on methods that either won’t work or that aren’t good for your dog. Do your research before deciding; pick a book that represents dog training philosophies you can relate to and use the tips and advice as training guidelines. 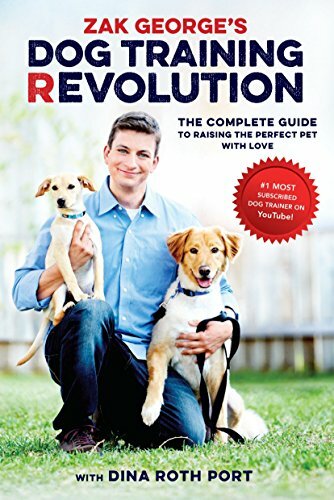 You should also try to make sure that the book is fairly new so that you don’t end up relying on aged and outdated dog training techniques. A big benefit when using books is that the lessons are often written in order so that you know where to start, and what should come next. You also have a better chance at being exposed to applicable material, since books are generally edited and reviewed before going to print – cutting anything deemed irrelevant. People may not read as much as they used to read 30 years ago, but dog training books continue to be a popular and simple way to navigate through the complex world of dog training. The internet is a bottomless fountain of discovery and wisdom; full of useful information but also filled with low-quality advice from individuals with better intentions than actual skills. It is a minefield and a road covered in potholes – treacherous – but if you make it across to the other side (meaning, if you learn to distinguish quality data and facts from information with little to no scientific anchoring) there is nothing the internet cannot teach you. Many modern dog trainers have taken to the internet with blogs and websites; where you can access free advice with just a couple of clicks. Instagram is another popular dog training platform, and for those who aren’t familiar with it yet – there is a whole dog community waiting to be discovered. You can find dog training related accounts by searching for (so-called) hashtags; with good hashtag examples being #dogtrainer, #dogtraining, #trainyourdog, #dogtrainersofig, and #dogtrainingtips. It is a modern approach to sharing knowledge; free for you and great promotion for dog trainers – a genius way of taking advantage of technology and popular social media phone applications. Some trainers offer short videos and tips and ideas, but it can also be a good platform for finding dog trainers whom you can then investigate further. Videos are great when trying to figure out how to best teach a dog a new trick since it gives you a visual instead of just word descriptions. For many dog owners; this is a simpler form to process information, and to understand what a trainer means for you to do. In the past, you had no other option than to attend dog courses, which for some was not a possibility due to either living remotely, or not having the funds. Now, with the internet being open and welcoming to everyone, you can learn most of what a physical dog course would teach you by watching the right dog training videos. Look for videos made my recognized and provenly knowledgeable trainers so that you don’t waste time on something that won’t give you the results you are hoping for. One dog trainer who specializes in YouTube videos; and who has hosted his own show on Animal Planet, is the American dog trainer Zak George. He has built his career around offering free training videos through YouTube, and you can find videos explaining how to teach tricks like sit and high five, how to teach a dog to walk nicely on a leash and how to deal with puppy biting. Finding training videos on YouTube is no rocket science, and you can always browse a bit until you find something you like and understand. We are all different, and so are our dogs, which is why it is so great that the internet and YouTube are full of alternatives. Once you start looking into training your dog; whether you opt for books, the internet, traditional doggy classes or something else, you will soon realize that there are several different approaches to dog training out there. Some trainers preach a pack leader approach; where the goal is to have your dog respect you and treat you as their pack leader, and other trainers work with the more relaxed philosophy of mutual respect. There are no rights and wrongs, and it will be up to you to decide what works best for you and for the canines in your family. 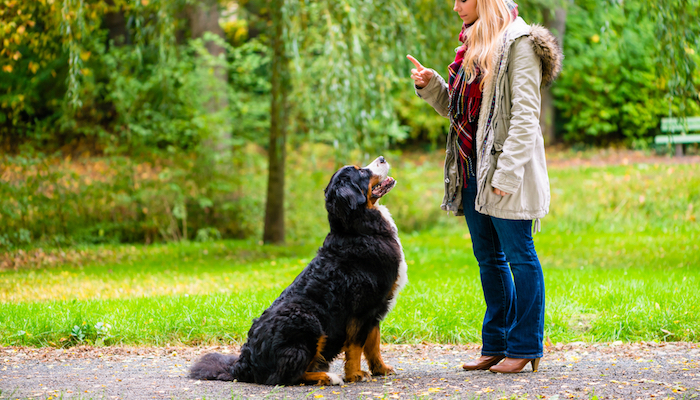 You are going to hear expressions like “positive reinforcement”, which means to put emphasis on what the dog does right, rather than to focus on (and punish) what they do wrong. Positive reinforcement training has gained popularity in recent years, as it offers a softer approach and focuses on making it fun for everyone involved, and it is an expression you may want to keep an eye out for when training your dog. Anti-Bark Collars – Good or Bad? A controversial training device is an anti-bark collar; which many mistakenly confuse with the shock collar. 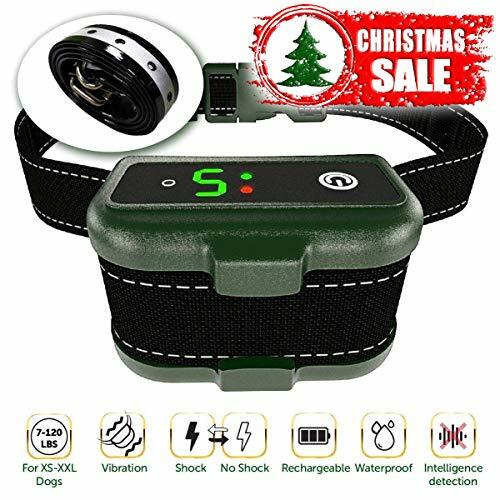 The shock collar was once used to keep a dog from barking and from displaying unwanted behaviors, but times have changed, and it is no longer the unpleasant device it once was. 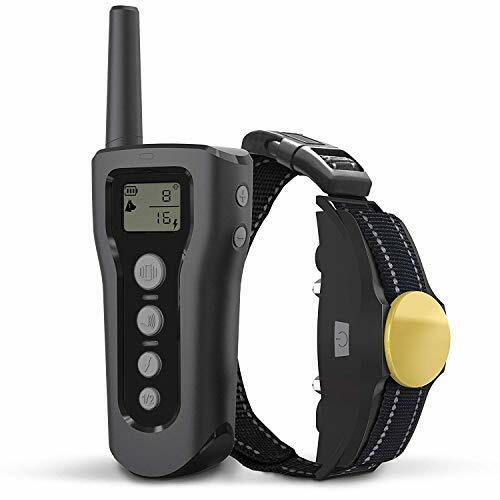 Today, an anti-bark collar uses (harmless) vibrations, or they release a citrus scent when the dog barks, with the purpose of having them associate barking with something unpleasant. An anti-bark collar does not harm the dog physically, but in 2019 it feels somewhat outdated, and like a shortcut to a behavioral change that can be achieved with less unpleasant methods. Because, while it does not do physical harm to the dog, it is not the nicest way to teach them how you would like them to behave. 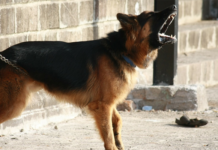 The use of bark training collars is at the discretion of every individual dog owner, but it is important to know that there are other ways to keep a dog from barking. 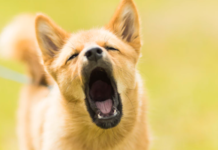 The smartest thing you can do if wanting to keep the experience positive is to teach your pup a command for them to stop barking. 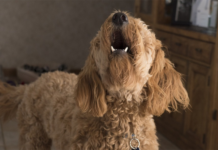 The internet is full of tips and tricks, and you can go with teaching your fur friend to bark at command and to stop barking when you instruct him or her to. It may take longer, but isn’t it worth it if it allows your dog to feel good about him/herself? After all, in this day and age, a bark collar feels outdated and unnecessary. Another aspect to consider is what you want to use to reward your dog during training. Dogs need motivation, and they need rewards to help them understand when they’ve successfully achieved what was expected of them. There are a few different options you can go with, depending on your individual circumstances and those of your pooch. When it comes to training rewards, most dog owners automatically think of dog treats, which isn’t strange considering how motivating it can be for your dog. Every dog has a favorite treat, which they will do almost anything to obtain if given the chance. Training treats are great, but in moderation, and it is crucial to make sure you don’t overfeed your dog, or they could end up sporting a few extra kilos for the Christmas photos this year. Extra weight is not good for any dog, which is why it should be avoided at all costs. The way to do it is to count the treats you feed during training towards their total daily food intake. If feeding more treats – feed less of their regular kibble or food. You can also use kibble for treats if your dog is sufficiently motivated by it. Some dogs love their toys; perhaps their favorite tennis ball, a tug-of-war toy and/or a snuggly plush animal. They might even be more motivated by a toy than by treats, and if this is the case – you are in luck! 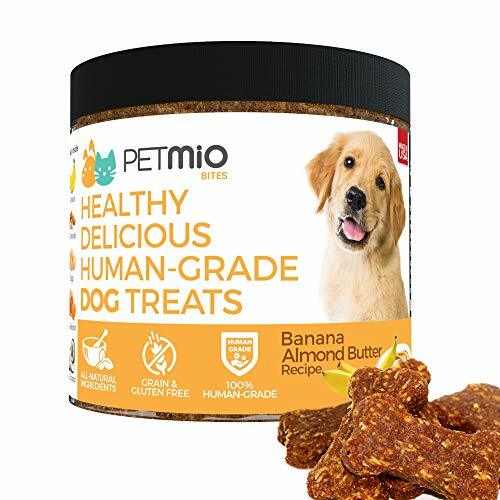 No need to buy treats, and no risk of your pup gaining weight. Just carry their favorite puppy-friendly toy with you when training and let your pup play with it for a couple of minutes when successfully completing a task during their training. Got a strong dog? Try these virtually indestructible dog toys. This method requires training, but clickers are great to communicate to your dog that they have done something right. 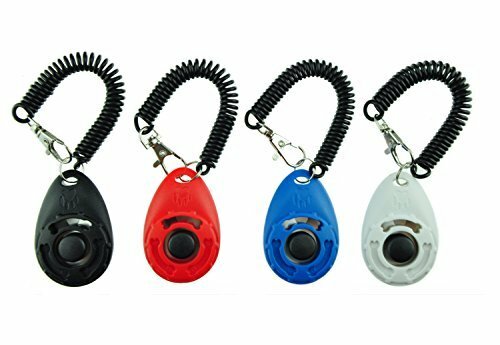 When teaching a dog to respond to a clicker, you do use dog treats, but once the clicker training is complete – the click will be enough to inform the dog that they’ve done well. You can find guides for clicker training online and in many books (there are books especially dedicated to the practice), and it can be taught to both puppies and adult dogs. To give your dog verbal encouragement, and to let him or her know that he/she is a good dog, should be part of your everyday correspondence with your dog, and while it can be incredibly useful when training – it usually isn’t quite enough for motivation. Try praising your dog when he or she performs as expected and follow up with a delicious treat or a fun toy as a reward. Dog training has evolved, and the way we view and understand our dogs is more advanced than it once was. When training and working with your dog – try to keep it fun and remember that patience is your best friend. Dogs are smart, but unless we know how to communicate with them and how to make them understand what we expect, we might not succeed with the training we had hoped to provide our pups with. Dogs are often the ones blamed for bad behaviors and for “acting out,” when in reality, it is us as owners who have failed in showing them what we wish for them to do (and don’t do). Previous articleShould I Trust Books When Training My Dog?